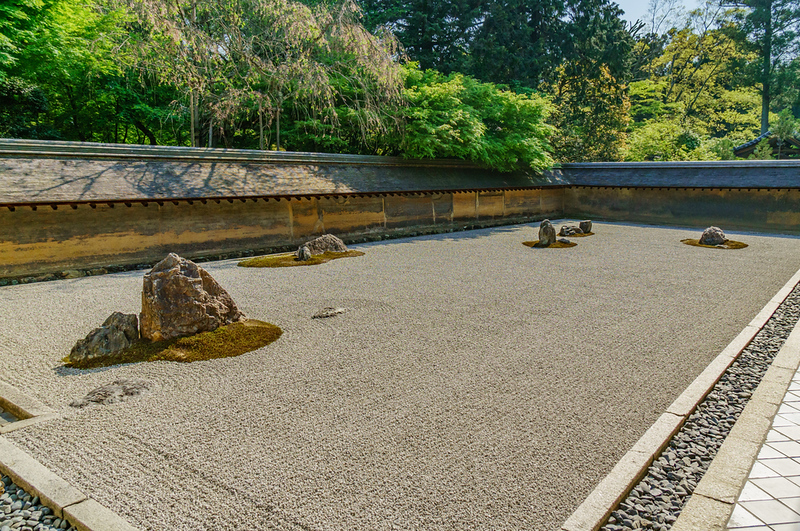 Even after centuries in existence no one has cracked the riddle of these seemingly random rock clusters that seem to float on the sea of gravel at the famous karesansui (dry gravel garden) Ryoan-ji Te. Like nearby Kinkaku-ji, Ryoan-ji is best visited as soon as it opens or just before it closes. Ryoan-ji Temple is located in Northwest Kyoto. See our complete list of things to do in Northwest Kyoto, including places to eat, nightlife and places to stay.